All information provided on Diabetes Strong is based on our own and our expert’s personal experiences. We are not medical professionals and no adjustments to care should be done without consulting your medical team. 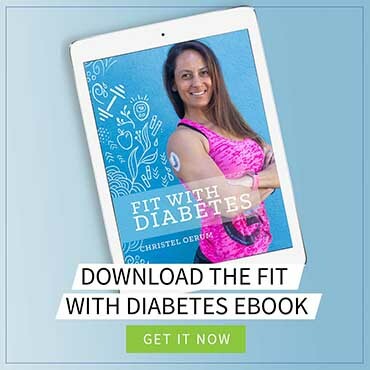 You must not rely on the information on Diabetes Strong as an alternative to medical advice from your doctor or other professional healthcare provider. If you have any specific questions about any medical matter, you should consult your doctor or other professional healthcare provider. You should never delay seeking medical advice, disregard medical advice, or discontinue medical treatment because of information on this website. Could you please tell me how I can follow your blog through my email? 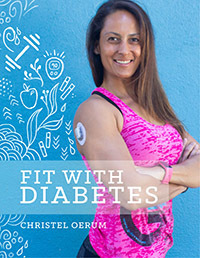 Hi Janie, right now you will have to sign up for the Fit With Diabetes Challenge here: https://diabetesstrong.com/diabetes-challenge/. After the challenge starts on January 3, we will also have a signup form for our normal email list at the bottom of every post.